Feb. 6, 2019 — The Emerson College Polling Institute and Monmouth University just released two presidential polls, the former of Iowa voters, the latter, a national study. The Emerson poll (Jan. 30-Feb. 2; 831 registered Iowa voters, 260 likely Iowa Democratic caucus attenders) finds former Vice President Joe Biden leading Sens. Kamala Harris (D-CA) and Bernie Sanders (I-D/VT), 29-18-15 percent, while Sen. Elizabeth Warren (D-MA) posts 11% support. The other candidates land in single digits: ex-Rep. Beto O’Rourke (D-TX) at six percent; Sens. Cory Booker (D-NJ) and Sherrod Brown (D-OH) both with four percent; Sen. Amy Klobuchar (D-MN) has three percent; while former HUD Secretary Julian Castro posts two percent, and ex-Rep. John Delaney (D-MD) each register one percent support. The results are consistent with previous polls conducted of the Iowa Caucus sampling universe even though the Democratic sample in this survey is very low. During the period of Jan. 25-27, Monmouth University tested a national sample of 735 registered US voters from a pool of 805 adults to determine perceptions mostly of the Democratic candidates, but also queried the aggregate respondent universe about President Trump. 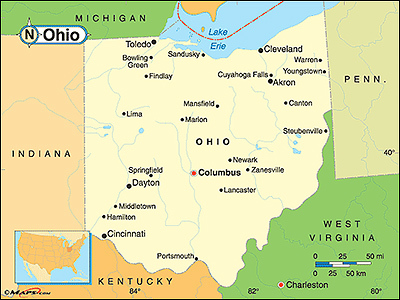 Nov. 1, 2018 — The Buckeye State of Ohio is viewed as one of the country’s quintessential swing states. In 2016, however, the state exceeded polling and even Republican expectations in their presidential vote, as President Trump won a decisive 52-44 percent victory over Hillary Clinton. Some suggested the Trump vote was an indication that the state could be moving more definitively to the political right, but new surveys suggest the Buckeye electorate is returning to its previous swing vote history. Still, Ohio proves a reliable national political barometer. In both 2008 and 2012, the electorate here voted for President Obama after twice after backing President George W. Bush in his two elections. The state previously favored President Bill Clinton in his two successful national campaigns. In fact, the last time Ohioans failed to vote for the winning presidential candidate came in 1960 when the state awarded its electoral votes to Republican Richard Nixon in his national losing effort against John F. Kennedy. Two new polls were released this week that paint different pictures of the Ohio electorate’s current state. Some of the results are curious to the point of questioning the polling reliability or not being able to adequately determine how the governor’s race will end and failing to understand the wide discrepancy in US Senate polling projections. March 28, 2018 — Survey USA came into Ohio to test the Buckeye statewide races — campaigns that have not yet received much attention from national political pollsters. The results provided both expected and surprising tallies. In the US Senate race, a campaign that has undergone a great deal of change after original candidate Josh Mandel, Ohio’s treasurer who held Sen. Sherrod Brown (D) to a 51-45 percent win in 2012, was forced to exit the re-match because of his wife’s recently discovered serious medical condition. Upon Mandel’s departure, Rep. Jim Renacci (R-Wadsworth), who had already announced and was actively campaigning for governor, decided to switch gears and entered the Senate race. 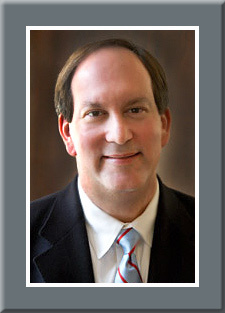 Investment banker Mike Gibbons, an ally of Gov. John Kasich (R), was opposing Mandel while the latter man was still in the Senate contest, and continues to battle Rep. Renacci. S-USA tested them all. According to the polling data (March 16-20; 1,408 likely Ohio voters; 541 GOP likely primary voters; 509 Democratic likely primary voters) Sen. Brown maintains strong, and identical, leads against both Republican contenders. Against Rep. Renacci and Gibbons individually, Sen. Brown’s advantage is 52-38 percent. Jan. 30, 2018 — Thought of as one of the key swing states in American politics since the turn of the century, President Trump’s stronger than expected eight-point Buckeye State victory in the 2016 presidential race proved eye-opening. But, was his performance trend setting or an anomaly? A new Fallon Group survey for the state’s 1984 Society group finds the upcoming open governor’s race is exceeding the Trump marker, at least in the early going. Such totals indicate that the presidential outcome could be signaling a more Republican-oriented direction beginning to form in the state, but a closer look may point to the Trump numbers as affirming a political trend rather than creating one. 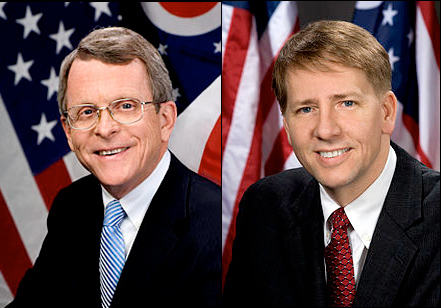 According to the Fallon Group data (Jan. 16-19: 801 likely Ohio general election voters; 286 Ohio Republican likely primary voters, 248 Ohio likely Democratic primary voters), attorney general and former US senator, Mike DeWine (R), would lead recently resigned Federal Consumer Protection Bureau director and ex-Ohio attorney general Richard Cordray (D) by a whopping 48-29 percent margin. The polling demographics appear to correctly model the state, thus providing reliability support. In the polling sample, Anglo voters account for 77.4 percent of the respondents, as compared to 79.5 percent of the state population. African Americans are 14.2 percent of the polling universe, and 12.8 percent of the actual Ohio population. Hispanics register 2.2 percent of the respondent group, against a 3.7 percent state population figure. Therefore, the respondent universe is consistent with at least the overall Ohio population complexion. Additionally, the polling universe is comprised of 51.9 percent females, versus a 51.0 percent actual make-up. The Republican leadership approval ratings are mixed. The respondents believe, by a margin of 54:25 percent, that Ohio is generally on the right track. Outgoing Gov. John Kasich’s (R) job performance is rated highly: a 57:29 percent favorability ratio. President Trump, on the other hand, is upside-down at 43:52 percent positive to negative. Jan. 25, 2018 — Earlier this month, we set the stage for the Senate and House campaigns. Today, we look at another important election platform, that of the nation’s governors. Though these races will elect people who will obviously determine future individual state policy, most of the 2018 gubernatorial winners will carry redistricting veto power in 2021. Therefore, these elections also carry national implications. Of the 36 governors’ campaigns, 17 will be open races mostly due to state term limit laws. While the Democrats must protect the preponderance of US Senate seats this year, the opposite situation exists in the governors’ races. Here, Republicans must defend 26 state houses, 13 of which are open seats. Of the 13 GOP incumbents seeking re-election, three are actually running for governor for the first time. Govs. Kay Ivey (R-Alabama), Kim Reynolds (R-Iowa), and Henry McMaster (R-South Carolina) were all lieutenant governors who ascended to their current position because the person elected in 2014 is no longer in office. Alabama’s Gov. Robert Bentley (R) was forced to resign as part of a plea bargain arrangement over campaign finance violations. The other two state chief executives, Terry Branstad (IA) and Nikki Haley (SC), accepted positions in the Trump Administration. 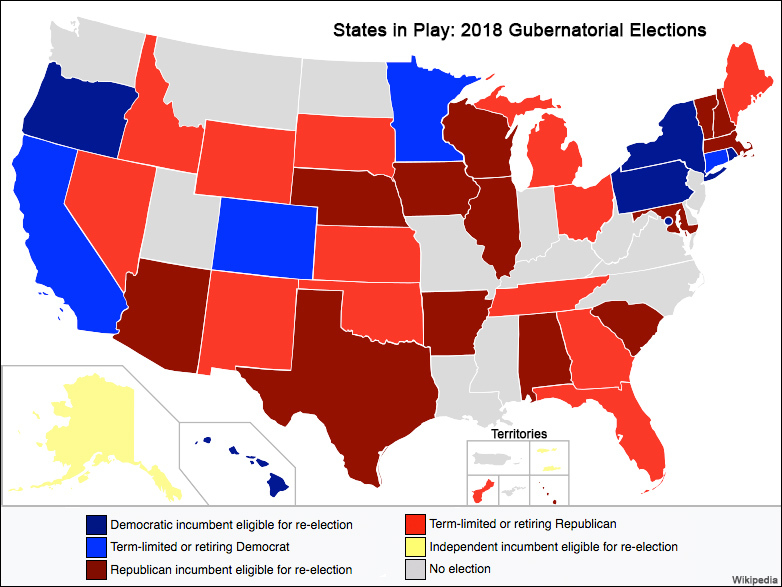 At this point in the election cycle, all three unelected governors are favored to win a full term.